Visit our Luxury Pool Home near North Port and Englewood; only 20 minutes to Venice. Also only 15-20 minutes to the beautiful white beaches of Englewood and Boca Grande. There are more than 10 golf courses within 5-25 minutes. Shopping is only 2-3 mile away. It is approximately 2 hours from Disney ,and 3 hours to Miami. We are located between Sarasota and Fort Myers. The Everglades are about 1 hour and 45 minutes away. Whether you enjoy fishing, boating, golfing, sunbathing, shopping or just want some peace and quiet, this home is for you. The house is beautifully furnished and nicely decorated for you to relax and feel at home. We have a very large great room with large sectional for family use. This house is bright and airy with cathedral and tray ceilings with heights up to 14 ft. The lanai and pool area are screened in for your comfort. We have a formal living room that opens to the pool and family room with a flat screen TV. The eat-in kitchen is fully equipped with glass doors overlooking the pool. The large master bedroom suite also has access to the pool and a large Roman shower with dual sinks The master bedroom has two walk-in closets. The second bathroom is a tub/shower combination and goes out to the pool. We also have two other bedrooms for your comfort. There is room for one car in the garage. We have an extra air mattress for your use. It is a roomy house. We get compliments on how quiet and relaxing the location is. Master bath very large with dual sinks and large roman shower and a large soaking tube for your enjoyment. 2nd Bathroom off of pool and by two spare rooms full shower tube combination. side by side stainless steel. Well decorated, clean home in lush surroundings yet within minutes to all amenities. Many beaches were within minutes. The home was comfortable and relaxing. Pamela was readily available and helpful with small issues. One suggestion would be to move the TV (and upgrade basic cable) from a small den to the main living area for all to enjoy. The linens, towels and kitchen utensils could be replaced as they have seen better days. This however, was not a deal breaker and I would definitely return. We had a memorable vacation! Beautiful home with private yard and pool. My wife and I enjoyed our stay. Thanks. You are welcome back anytime. although our stay was shortened because of medical problems, everything went smoothly, and pamela was easy to contact. if you want a place that is nice, off the beaten path, but not too far from town, this is an ideal place for you. great experience! This house was very nice with a lot of room. The bedrooms were a nice size. The house was very clean. It was nice to have a dog here with us. The owners have been nice to work with. Thanks for staying with us. You took great care of our home. Please contact us when you decide your dates for next year. Have a very Happy New Year!!! We had a great time at the house. The Wilkins' are very easy to deal with and anything that they say will happen.....does very quickly. The master bedroom is to die for and the kitchen is so well stocked. We really enjoyed our stay there and will probably be back again. Thanks for a great review. You are welcome back anytime. "Vacation paradise, and home to match"
We "loved" our month long stay here!!! If you are looking for the "perfect get away" from the hustle and bustle of a busy lifestyle, then this IS the home for you. It is located in a very quiet neighborhood, close to restaurants, shopping, and beautiful beaches. 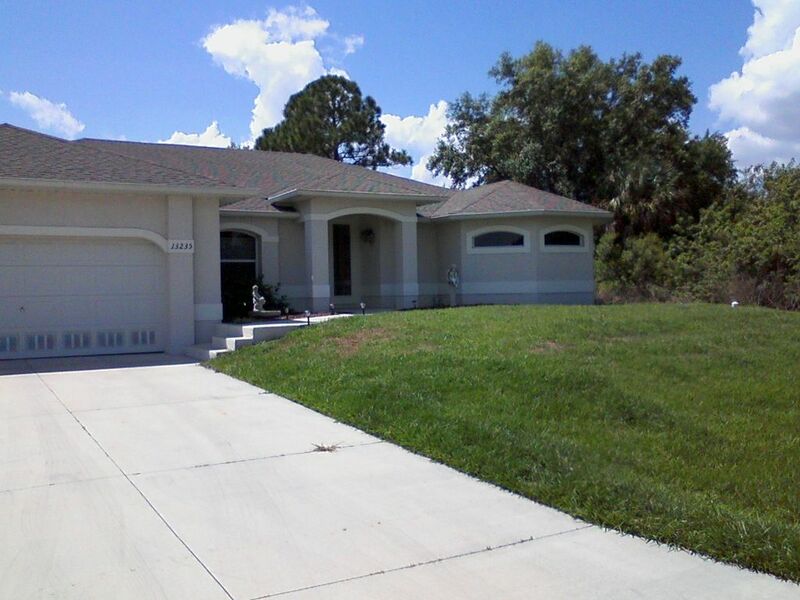 The home is beautifully decorated, 3 bdrm, 2 living rooms, 2 bathrooms, "beautiful Master bedroom/bathroom. Master Bathroom has garden tub, double sinks, 2 walk in closets, and the most beautiful tile shower. You will enjoy the swimming pool that has patio doors leading from Master Bedroom, Living Room and even the dining Room. The home reflects exactly what is displayed on the website plus more. If you are a pet lover, so are they and we were so grateful to be able to take our kitty. I spoke with Pam on several occasions, and found her very delightful and very accommodating. We would definitely recommend this home. Thanks for the lovely review. George and I are happy you had a wonderful vacation and look forward to your future vacations at our property. Take care. Venice beach includes conservation parks, dog beach, bird sanctuaries, canoeing kayaking, hiking and biking trails. Starkey's at the pier for fantastic sunsets and a great frozen drinks. Also the beautiful Island of Boca Grand... with the largest Banyan trees I have ever seen. Pets accepted! Please discuss with owner. $250 Security deposit and 12% Florida rental Tax. The cleaning fee is $160. Rental discounts if rent in off season. Any Pets need to be reviewed with owner / cost will be added to rental Refund information is on the contract.